A joint report from the Justice and State inspector generals' finds that the DEA lied and covered up the facts in a 2012 Honduran raid that left four innocent civilians dead, Peruvian security forces prepare to enter forbidden territory in the country's coca heartland, the South Dakota attorney general's ploy to win political advantage by prosecuting a pot consultant fails, and more. 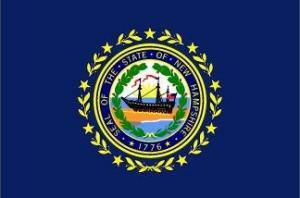 Maine Legislature Passes Bill to Fund the Implementation of the Marijuana Legalization Initiative and Change the Agency That Will Regulate Marijuana for Adult Use. The Senate on Thursday passed Legislative Document 243 unanimously "under the hammer," without debate or a roll call vote, sending it to Gov. Paul LePage (R) for final approval. The House passed it "under the hammer" on Wednesday. The bill would transfer the authority to oversee adult-use marijuana from the Department of Agriculture, Conservation and Forestry to the Bureau of Alcoholic Beverages and Lottery Operations within the Department of Administrative and Financial Services (DAFS). The Bureau would be responsible for licensing adult-use marijuana businesses and creating and enforcing regulations. LD 243 also allocates $200,000 to the Joint Select Committee on Marijuana Legalization Implementation and $1.4 million to DAFS to implement Question 1. South Dakota Attorney General Foiled in Bid to Prosecute Pot Consultant for Personal Political Advantage. A jury in Flandreau acquitted a marijuana business consultant of conspiracy to possess and marijuana possession Wednesday. Eric Hagen, president of Colorado-based Monarch America, had contracted with the Flandreau Sioux tribe to assist it in developing a marijuana grow operation and resort, a plan that was abandoned by the tribe in the face of mixed signals from the federal government and staunch opposition from state officials. Led by Attorney General Marty Jackley (R), who is eying the state's governor's office, the state nine-months later charged Hagen and a business partner, even though they never possessed or controlled any marijuana. It took a juror just two hours to find Hagen not guilty. Hagen immediately accused Jackley of ruining his company through a politically motivated prosecution. "He tanked our company by spreading lies and rumors," Hagen said. "It was 100 percent politically motivated. This was simply a media ploy for Jackley because he's running for governor in 2018." 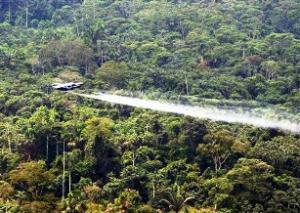 Peruvian Forces Set to Enter Key Coca Cultivation Area. Security forces are preparing to enter the lawless Apurimac, Ene, and Mantaro River valleys (VRAEM) coca growing areas for the first time as part of a plan to eradicate half the country's coca supply by 20121. The area, where an estimated 125,000-150,000 acres of coca is grown is remote, on the far side of the Andes, and the trade there is protected by armed rebel groups and drug trafficking organization. "It has to be done slowly, but it has to be done," Peru's drug czar Carmen Masias told a news conference. Hondurans Bust First Coca Plantation. For years, Honduras has been a key transshipment point for cocaine headed from South America toward North American markets, but now Honduran authorities report finding their first domestic coca growing operation. They busted the field containing an estimated 7,000 plants last month in the mountainous region of Esquipulas del Norte. "We have confirmed through toxicological exams that we're dealing with coca plants. This is the first time we've confiscated a coca plantation in Honduras," prosecutor Carlos Morazan said. "At the site, we found a laboratory with tools and precursor chemicals for making coca paste and for processing the drug up to its final power form," Morazan added. DOJ Report Says DEA Lied About Fatal Honduran Drug Raid. In 2012, a botched drug raid in Honduras led to the shooting deaths of four civilians, including a teenage boy, as they floated along a river. Now, a report from the Justice Department's Office of the Inspector General finds that the DEA lied when it claimed the victims were cocaine traffickers who had shot first and that DEA agents were only present as advisors. The report says the DEA failed to properly investigate, blocked attempts to find the truth, and stuck with an inaccurate version of events despite the efforts of Congress and the Justice Department to get to the bottom of it. We're starting to see 2018 marijuana legalization initiative action getting underway, an Ohio Supreme Court justice calls for freeing the weed, the American Legion wants the feds to get out of the way of medical marijuana research, Afghanistan has a bumper opium crop, and more. Arkansas Attorney General Sends Marijuana Legalization Initiaitve Back to Be Reworked. Attorney General Leslie Rutledge (R) has rejected a proposed marijuana legalization initiative from Larry Morris of West Fork, saying that it is "ambiguous" and nearly identical to a later proposal from Mary Berry of Summit. Rutledge suggested that Morris and Berry work together. Minnesota Lawmaker Files Bill for Legalization Constitutional Amendment. State Rep. Tina Liebling (DFL-Rochester) introduced House File 2714 on Saturday. The bill proposes a constitutional amendment to allow people 21 and over to buy and grow marijuana for personal use. The bill was filed with just a couple of days left in the session, and Liebling doesn't expect it to pass this year, but "it's time to get the conversation going," she said. Liebling is also seeking the Democratic gubernatorial nomination next year, and marijuana legalization is one of her campaign planks. Nevada Marijuana Edibles Regulation Bill Advances. The Assembly Judiciary Committee approved Senate Bill 344 last Friday. The bill has already passed the Senate. It would require edibles to be sold in single servings in nondescript packaging and be child-proofed. The legislature is rushing to get the bill passed before retail marijuana sales are set to begin on July 1. Ohio Supreme Court Justice Calls for Marijuana Legalization. Justice William O'Neill, the only Democrat to hold statewide office in the state, says it is time for the Ohio to legalize marijuana. The potential gubernatorial contender said in a speech that he not only wants to free the weed, but also to free nonviolent marijuana offenders from prison. "The time has come for new thinking," O'Neill said in his prepared remarks. "We regulate and tax alcohol and tobacco and imprison people for smoking grass." South Dakota Legalization Initiative Signature Gathering Gets Underway. Supporters of a marijuana legalization initiative began signature gathering over the weekend after the attorney general's office okayed petitions for circulation. This initiative would legalize the possession of any quantity of marijuana by adults. Organizers have until November 6 to come up with approximately 14,000 valid voter signatures. American Legion Asks Trump to Allow Research for Vets. In a recent letter to the White House, the conservative veterans' group asked for a meeting with Trump son-in-law and key advisor Jared Kushner, "as we seek support from the president to clear the way for clinical research in the cutting edge areas of cannabinoid receptor research," the letter said. "We are not asking for it to be legalized," said Louis Celli, the national director of veterans affairs and rehabilitation for the American Legion. "There is overwhelming evidence that it has been beneficial for some vets. The difference is that it is not founded in federal research because it has been illegal." Utah Republicans Reject Resolution Supporting Medical Marijuana. At its annual convention over the weekend, the Utah Republican Party overwhelmingly rejected a resolution in support of medical marijuana, defeating it by a margin of 70% to 29%. The Republican-controlled legislature has refused to enact a full-fledged medical marijuana law, and now the state GOP has made it clear it intends to stick to its guns. Advocates could undertake an initiative campaign next year in the face of legislative indifference or hostility. Bermuda House Passes Marijuana Decriminalization Bill. The House of Assembly has approved an opposition bill that would decriminalize up to a quarter-ounce (7 grams) of marijuana. 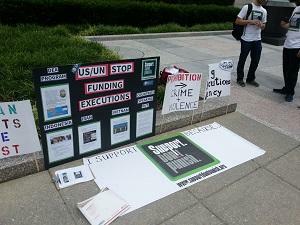 The bill still needs approval by the Senate and the governor's signature. If that happens, it will go into effect on June 30. 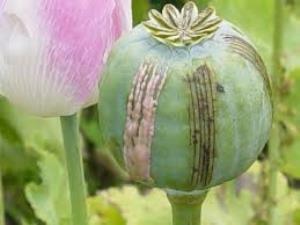 UN Says Afghanistan Opium Cultivation Up 10%. The UN Office on Drugs and Crime (UNODC) reported that illicit opium poppy plantings had increased by 10% last year, with potential opium production up 43%, to 4,800 metric tons. 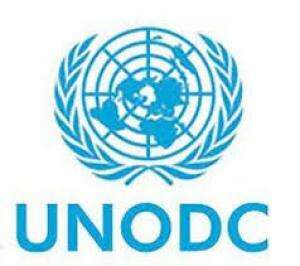 UNODC estimated that opiates accounted for 16% of the country's GDP and more than two-thirds of the agricultural sector. Opium production also provided labor for 235,100 full-time workers and accounted for more than half of the family income of poppy growers. The illicit economy is fueling insecurity, violence and insurgency among other problems to discourage private and public investment in Afghanistan, UNODC said. It's a two-fer for Bay State legalizers today, the feds move to ease the opioid problem, Italy's top anti-Mafia and anti-terrorism prosecutor comes out for marijuana legalization, and more. Massachusetts Legalization Initiative Turns in Final Batch of Signatures. 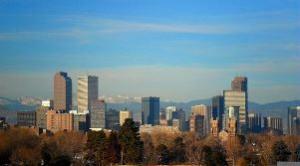 The Campaign to Regulate Marijuana Like Alcohol Tuesday handed in some 25,000 signatures to comply with a final signature gathering requirement before its legalization initiative can appear on the November ballot. Proponents only need 10,971 valid voter signatures for the measure to qualify for the ballot. The campaign already successfully completed a larger signature gathering campaign in the spring, but had to do a second round under state law after the legislature refused to act on the initiative petition. Massachusetts Supreme Court Okays Legalization Initiative for Ballot… With Changes. The state's Supreme Judicial Court Wednesday ruled that the legalization initiative from the Massachusetts Campaign to Regulate Marijuana Like Alcohol can appear on the November ballot. But the court also massaged the language of the title -- changing it from "Marijuana Legalization" to "Legalization, Regulation, and Taxation of Marijuana" -- and the summary language that will appear on the ballot. The new summary reads as follows: "A YES VOTE would allow persons 21 and older to possess, use, and transfer marijuana and products containing marijuana concentrate (including edible products) and to cultivate marijuana, all in limited amounts, and would provide for the regulation and taxation of commercial sale of marijuana and marijuana products." (Changes highlighted in bold). Feds Raise Patient Limits for Buprenorphine Docs. The US Department of Health and Human Services (HHS) has nearly tripled the number of opioid-addicted patients who can be prescribed buprenorphine by a single doctor. Under old rules, doctors were limited to treating 100 patients; now, the cap has been set at 275. 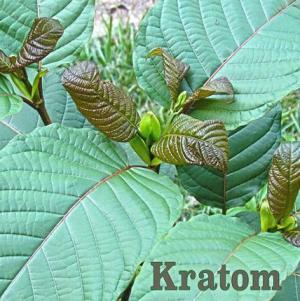 The drug is used to help wean people off heroin and prescription opioids. Italy's Anti-Mafia Prosecutor Says Legalize "Soft Drugs." As the Italian parliament prepares to take up marijuana legalization later this month, the country's top anti-Mafia and anti-terrorism prosecutor, Franco Roberti, has endorsed the proposal, calling for the legalization of "soft drugs" as a means of redirecting police resources and weakening the finances of terrorist groups. Under prohibition, he said, "cannabis production is one of the main financing sources of terrorists. If we want to give a blow to the Mafia and the Taliban, we must remove this extraordinary financing channel from illegality." 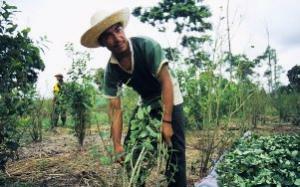 Bolivia's Coca Crop is Under Control, UN Says. Bolivia has brought the number of acres under coca cultivation down to 50,500, the UN Office on Drugs and Crime reported Tuesday. Since farmers are allowed to plant 50,000 acres to supply the country's traditional and industrial coca market, that means that only 1% of production is destined for the illicit market. Cocaine continues to be exported through Bolivia, the agency said, but it coming from Peru. It's harvest time in Afghanistan and the poppy crop is bountiful, the State Department says UN drug treaties don't require a NIDA monopoly on research marijuana, CBD bills get signed by the governor in Alabama and go to the governor in Oklahoma, South Dakota's internal possession law is obstructing sentencing reforms, and more. Massachusetts Legalization Foes Attack Marijuana Potency. 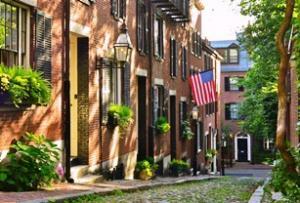 The anti-legalization Campaign for a Safe and Healthy Massachusetts, led by Gov. Charlie Baker (R), Boston Mayor Martin Walsh (D), and House Speaker Robert DeLeo (D), is set to make an issue of marijuana potency as it attempts to blunt support for the state's legalization initiative. It's a 21st Century version of former drug czar William Bennett's "not your father's marijuana." Oregon To Allow Recreational Edibles Sales Beginning in June. The Oregon Health Authority issued draft temporary rules Wednesday that will allow the sale of marijuana edibles to recreational users at medical marijuana dispensaries beginning in June. Recreational pot shops aren't open yet, but adults who want to purchase marijuana have been able to do so at dispensaries. Now, they will be able to buy edibles there, too. State Department Says NIDA Monopoly on Research Marijuana Unnecessary. The Bureau of International Narcotics and Law Enforcement at the State Department has gone on record stating that the United States could issue multiple licenses for the cultivation of cannabis for medical and scientific purposes without violating the United Nations Single Convention on Narcotic Drugs treaty. The statement came in response to a direct request from Senator Kirsten Gillibrand (D-NY) regarding whether issuing multiple licenses to grow medical marijuana was a violation of the Single Convention. The State Department's interpretation is at odds with that of the Drug Enforcement Administration (DEA) which has always maintained that the treaty only allows a single license, which is granted to the National Institute on Drug Abuse (NIDA). This has created what is referred to as the "NIDA monopoly on cannabis," which has stalled medical cannabis research for years. Alabama Governor Signs CBD Medical Marijuana Bill. Gov. Robert Bentley (R) Wednesday signed into law "Leni's Law," House Bill 61, which will allow the use of CBD cannabis oil to treat people suffering from debilitating seizures. The bill is named for Leni Young, a child whose family had to move to Oregon because her CBD treatment was illegal in Alabama. The family reports a dramatic reduction in seizures since using cannabis oil. Oklahoma Legislature Approves CBD Cannabis Oil Bill. The House Wednesday voted 69-14 to approve a bill expanding the medicinal use of CBD cannabis oils. Last year, the state approved CBD cannabis oil, but only for people under 18. This bill, which now awaits the governor's signature, removes that age restriction. Connecticut Bill Would Increase Penalties for Synthetic Opioids. The legislature is considering House Bill 5524, which changes the definition of narcotic substances to include fentanyl and its derivatives. This would expose fentanyl sellers to up to 15 years in prison, as opposed to the up to seven years in prison they currently face. South Dakota's Internal Possession Laws An Obstacle to Sentencing Reform, Report Finds. Criminal justice reforms have slowed the growth of the state's prison population, but South Dakota is still locking up too many drug offenders because of a state law that makes ingestion of a controlled substance a felony. That's the bottom line of a new report issued Thursday by the Urban Institute's Justice Policy Center. Wisconsin Governor Signs Unemployment Benefits Drug Testing Order. Gov. Scott Walker (R) Wednesday signed an emergency order mandating drug testing for people seeking unemployment benefits. Those who refuse the drug test will have their benefits denied; those who fail it must undergo drug treatment and a job skills assessment in order to retain benefits. The rule will take effect when published later this week. 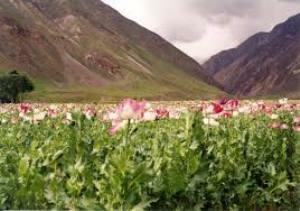 High Yields for Afghanistan's Poppy Crop This Year; Taliban Happy. Farmers and officials in Helmand Province, the heartland of Afghan opium production, are reporting high yields thanks to abundant rainfall and the cancellation of government eradication campaigns. Taliban members were taking part in return for wages and taxes, in cash or in kind, as well as recruiting new members from among the seasonal laborers who scrape the resin from the poppy pods. "We are happy that we had a good harvest this year compared with previous years," said Abdul Rahim Mutmain, a farmer in Musa Qala district. 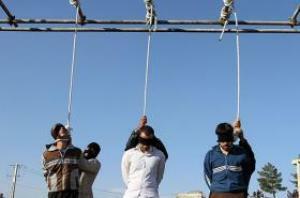 "There is no security concern for a single laborer being checked or robbed by the police," Mr. Mutmain said. "The entire district is under Taliban control and the bulk of the harvesters are Taliban." He added, "Actually, this is the Taliban regime -- you can take your narcotics anywhere or anytime you want to sell them." An increasing majority supports marijuana legalization in Vermont, a second Wisconsin Indian tribe moves toward allowing marijuana, a major national drugstore chain makes naloxone available over the counter, and more. New Vermont Poll Has Support for Legalization at 56%. A new Castleton Polling Institute survey has majority support for legalization, and it's up two points from the same poll earlier this year. The poll comes as state lawmakers prepare an effort to become the first state to legalize marijuana through the legislative process. Click on the poll link for more details and demographic and methodological information. Washington State Merger of Medical Marijuana Into Legal Sales System Advances. The state is folding medical marijuana into the legal marijuana system, and the state Liquor and Cannabis Control Board announced Wednesday it will accept applications for new retail stores for the first time since 2013 beginning on October 12. Existing, non-licensed dispensaries will have a chance to apply for sales licenses; those without a sales license will have to shut down by next July. Second Wisconsin Tribe Moves to Okay Marijuana on the Rez. The Ho-Chunk Nation tribal council voted over the weekend to end a policy that made marijuana use and sale on tribal lands illegal. The Ho-Chunks say that is just the first step on a path toward possible marijuana sales on tribal lands. Last month, the Menominee Nation also endorsed the possible legalization of weed. Maryland Attorney General's Office Clarifies That Counties Cannot Ban Dispensaries. Faced with an effort by Anne Arundel County Executive Steve Schuh to ban medical marijuana facilities in the county, the office of the attorney general has issued a non-binding legal opinion saying that while state law allows counties to decide where such facilities may locate, it does not allow them to ban them. South Carolina Medical Marijuana Bill Wins Senate Panel Vote. A Senate Medical Affairs Subcommittee today approved Senate Bill 672, a full-fledged medical marijuana bill. The vote was unanimous. The bill will head to the full committee early next year. The state approved a CBD cannabis oil bill last year. CVS Will Make Overdose Reversal Drug Available Without Prescription in 12 More States. The CVS pharmacy chain announced Wednesday that it will make available without prescription the anti-overdose drug naloxone (Narcan) to opiate users, friends, and family members. "Over 44,000 people die from accidental drug overdoses every year in the United States and most of those deaths are from opioids, including controlled substance pain medication and illegal drugs such as heroin," Tom Davis, vice president of pharmacy professional practices at CVS, said in a statement. "Naloxone is a safe and effective antidote to opioid overdoses and by providing access to this medication in our pharmacies without a prescription in more states, we can help save lives." Wednesday's announcement will affect CVS pharmacies in Arkansas, California, Minnesota, Mississippi, Montana, New Jersey, North Dakota, Pennsylvania, South Carolina, Tennessee, Utah and Wisconsin. The chain already provides the drug without prescription in Massachusetts and Rhode Island. Pakistan Targets Marijuana Cultivators in Bid to Assert Control, Fight Extremists. Peasant marijuana cultivators in the country's wild and remote Northwest territories are being squeezed by a military and paramilitary effort to exert effective control over the area and stamp out extremism. The authorities view the marijuana trade as a source of financing for the radicals, but it's also a lifeline for impoverished locals. Click on the link for an extensive report.